If you can only have one thing on an island, what will you want? This is gonna sound silly but it would be a car (filled with petrol of course). Why? Think about it, what's the one thing that we are so dependent on these days? For me it would be my car and phone. There was a time where I was car-less for about 6 months, it was pure torture. Going anywhere was difficult to the point that I stayed home during those months. Plus driving calms my soul. I love driving, even long distance! Bet you know who drives the most now among my friends and family. Honestly I don't mind, somehow it just gives me a thrill. Heh. Weird for a girl to say that right? Well guess what? 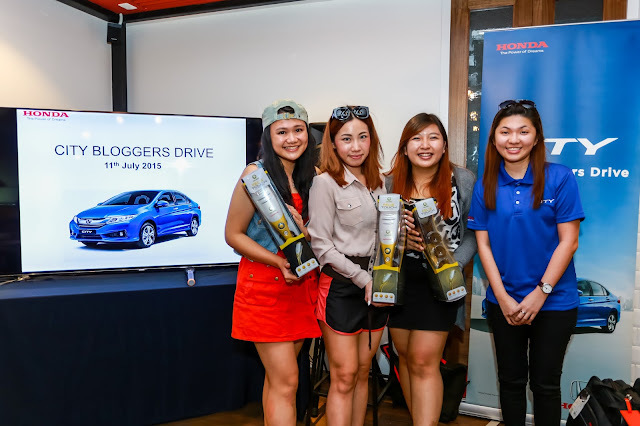 Around July, I had the privilege of attending Honda City Blogger Test Drive! It was definitely a memorable experience that I won't forget. I even got to drive and drift during the session (such a satisfaction coming from a dream racer). Yes I actually wanted to race cars when I was 18. Anyways back to the event! All of us were gathered together at Kota Damansara, Rail Canteen, on an early Saturday morning (little did I know it was my 3rd day of dengue). There was a variety of us, from food bloggers to beauty bloggers and even fashion bloggers. We were put together in groups of 2-3. There were 3 cars and all of us would be given the chance to test drive Honda City. 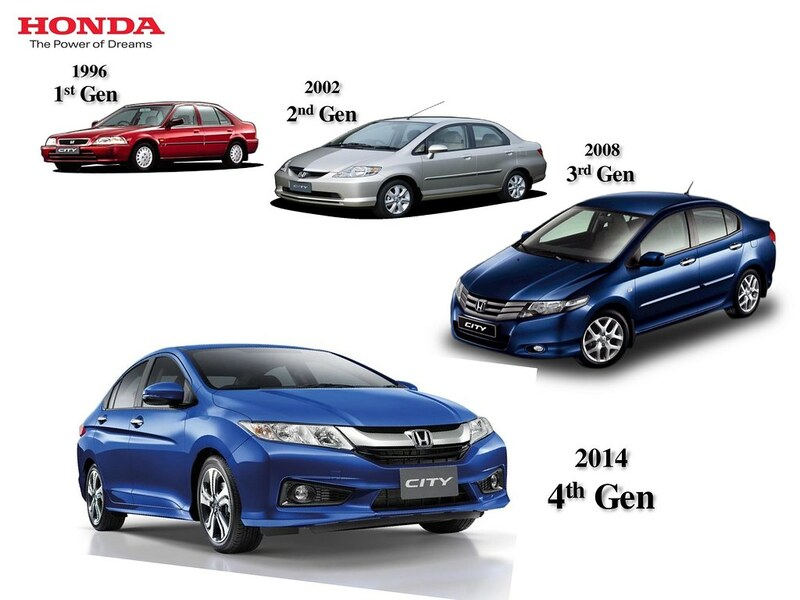 Before we embark on our journey, we had an insightful introduction to Honda City's Specifications. I wish someone could actually tell me more about my own car before I got it. 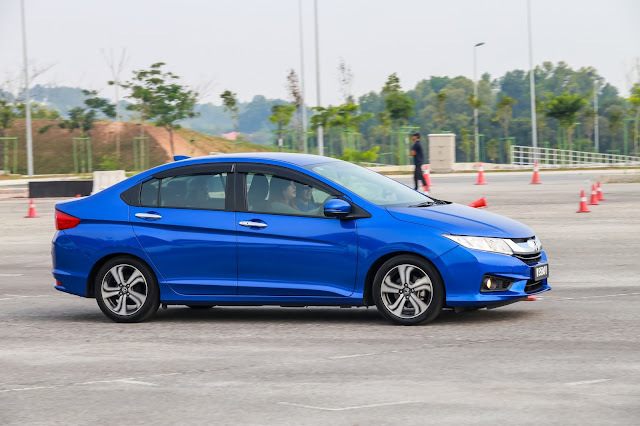 So let me share with you what I know about Honda's All New City. Comes in 5 colours: Modern steel metallic, Alabaster silver metallic, Taffeta white, Crystal black pearl and a new attractive color of Brilliant sporty blue metallic. FYI you can literally fit 3 bodies in the of the boot. We tried! In total you can store up to 536L worth of stuff. So if you were to go on a holiday with a bunch of friends, you wont have to worry about running out of space for your suitcases. 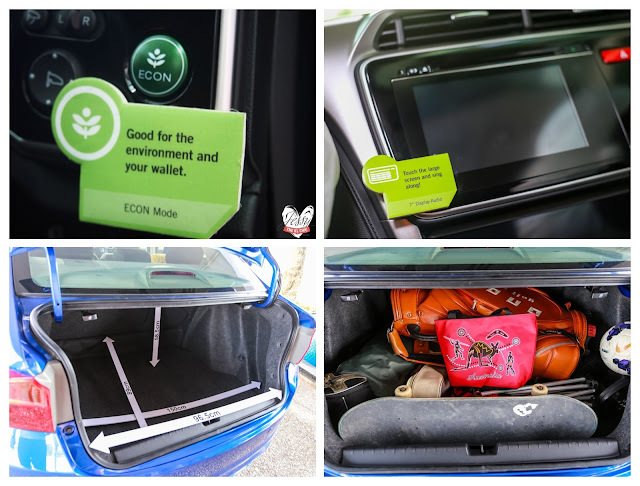 Thus, making it convenient for families on road trips. Absolutely love the 7” Display Audio and 8 speakers. Sort of turned the car into a mobile club. Honda Malaysia offers 5-year warranty with unlimited mileage and service interval is 10,000km to provide further ease to customers to make the City the vehicle of their choice. The newest City is run with 1.5L SOHC i-VTEC engine (maximum power: 120PS @ 6,600 rpm & maximum torque: 145Nm @ 4,600 rpm) added with Continuous Variable Transmission (CVT) that which provides the perfect green eco friendly combination of driving performance and fuel economy. 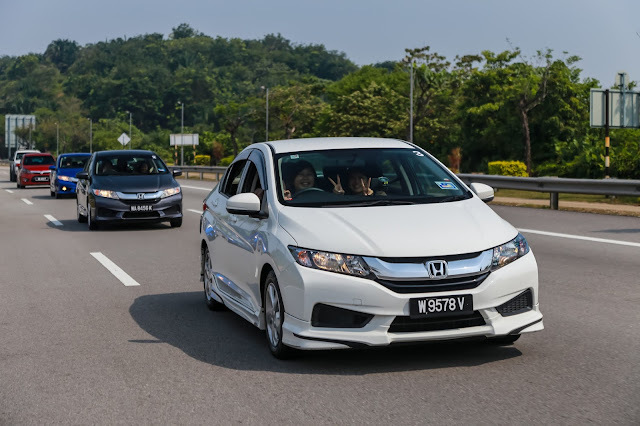 After being fully equipped with Honda City information, we were off to Putrajaya Marina Complex! Miriam was the first driver of the trip! We had everything in the car, from snacks, drinks and even a Walkie-Talkie to avoid getting lost from the convoy. Which in the end we ended up lost and was one of the last cars to reach putrajaya. But you know what? I enjoyed the whole journey, told the girls the wonders of snapchat and now miriam is already a snap addict. heh. Big thanks again to the organizing team for ensuring our safety and even providing us snacks for the journey. BTW, I did a video of this trip. Scroll down to view it. The moment we reached Flyboard Malaysia Putrajaya Marina, we had a lesson on how to use a FLYBOARD (It lifts you from the water and into the sky). The flyboard device is 9KG and it will be strapped onto your legs! Can you believe it? 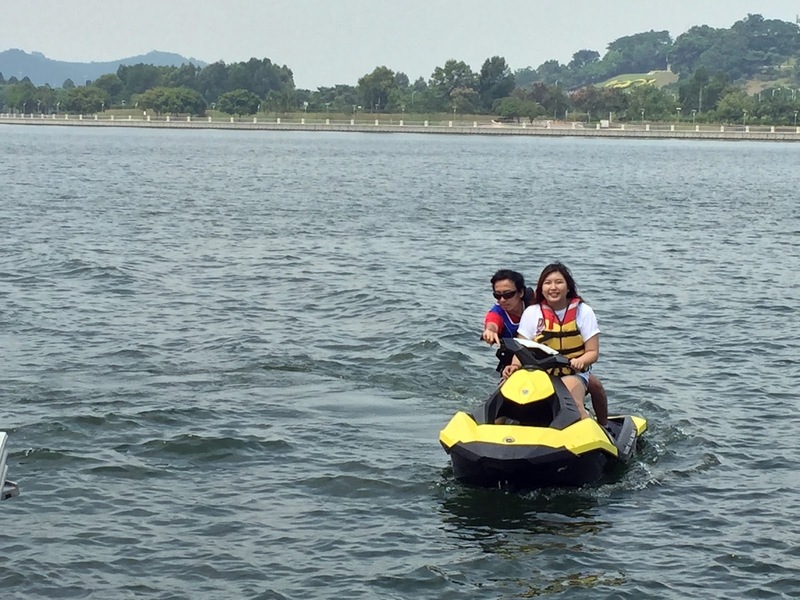 Sadly, I wasn't feeling that well and honestly I was too chicken to tried it, so I just enjoy paddleboat and jetski. Honestly anyone can do this. It's super relaxing and all you have to do is paddle. You would definitely work your arms as there was a little current when I was there. Felt like I develop some biceps after being in the water. The paddleboat is actually meant to be standing on the board while paddling but again, I was too scare to try. I didn't want to get wet as I just recovered from my fever but was still feeling exhausted. But anyways, if you're up for it, all you gotta do is balance yourself on the board carefully. The jet ski on the other hand was heavenly. I literally felt like a superhero cruising on the water. It was faster than I expected and there were many times I thought that we would turn over because of the speed we were flying at. Not sure why I was so scared that day, usually I'm the crazy one that would try anything. I forgot to bring my olympus camera to the docks when we enjoying the watersport, but I did bring my gopro along with me. I manage to take a video videos. You can see first hand how the instructor flyboard his way up. If you do get a chance to do this, just go for it. 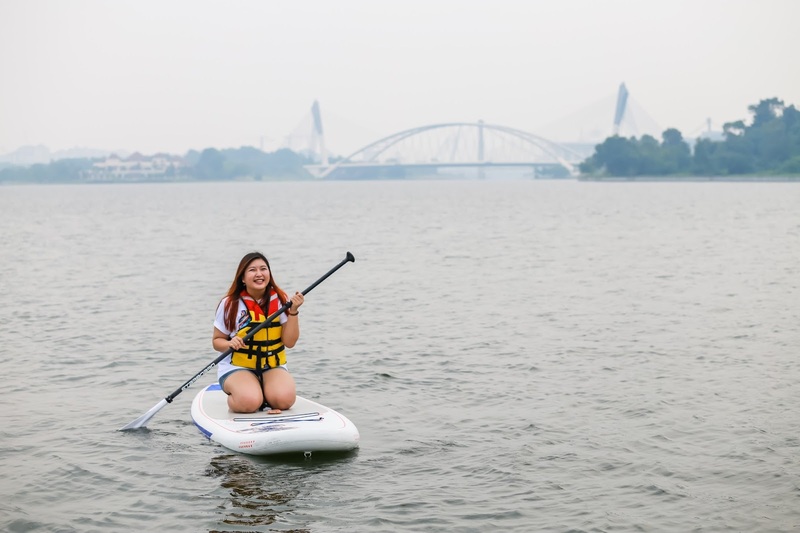 I heard that it's around RM400 for one flyboard session. All of the other bloggers did it and totally enjoyed themselves. After the water sport, we were all famished. Our tummies were literally growling. It was my turn to drive around Putrajaya and we went to a corner seafood restaurant. Apparently it's quite well known in Putrajaya as the other food bloggers also know of the place. And it really was good. The moment the food arrive, I blocked out all conversation. It was heaven. Everything was so fresh and seasoned right. Thinking about it makes me want to return to the restaurant. Plus there wasn't any leftover for the prawns. For a moment when the prawns landed on the table, I thought they were lobsters because they were huge. Practically covered 3/4 of my plate. This is the moment I been waiting for. I was bloody excited. I actually thought we would be racing and drifting until the driving instructor told me otherwise. We were actually at the carpark of MAEPS doing a safety test drive. I remember last year, the scariest accident you can have around where I stay is losing control of your car because of slippery roads and this year I would say the scariest accident is an irresponsible people skipping the red light. Not sure why but my housing area is seriously prone to these accidents. 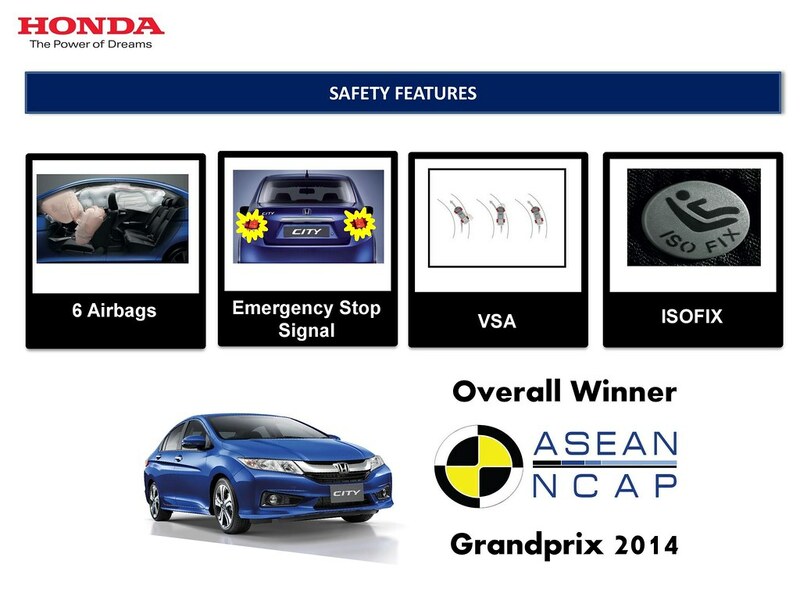 The New Honda City has a new safety addition which is the VSA button. The Vehicle Stability Assist system helps to stabilize the vehicle during cornering if the car turns more or less than desired. The VSA button is found on the right side of the steering wheel. You can either choose to 'On' it or 'Off' it, but VSA turned on, I notice that the car is more stable when a sharp turn is made. Then again, it's better safe than sorry right? That was not me btw. Though i'm fast, I'm still a good driver! Driving back to KD was Grace's turn. She ought to be the safest driver I know. Always looking left and right, also keeping a good safe distance from other cars. haha. During this event, we had to complete a challenge. To post interesting pictures on instagram, so if you were wondering why I was posting so many car pictures, now you know why. Our team was quite kiasu, we climbed on the car and even stuff ourselves in the boot just to win the mission. And it paid off. It was a rather easy car to drive in. I really do love how convinient everything is. Sometimes, I feel like I spend my time driving around in my car than my bed. So, if you're feeling happy when you get the things you need to help ease your burden, I bet we all can be happier drivers. Plus this car has so many cupholders and charging pods for your devices. The only thing I wish for is the car to pick up a little faster. Other than that, I love the VSA button. Better safe than sorry right? Plus I love to drift, so it's an amazing thing to have in the car. Hahaha great write up babe!! What are you going to do with a car if you're stranded on an island la? The car can't swim! Hahahahahaha. It was a great day with you and grace!! And yeah so many friends are getting the Honda City now and making me so jealous! ! 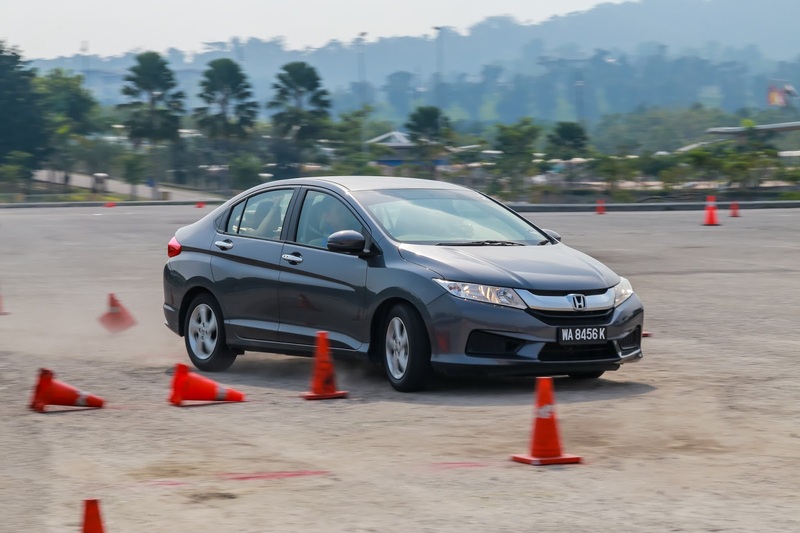 The Honda City is one of my favourite car! With the new specs it's so nice!!! It's such a fun event!!! Honda, never disappoint me!